From the 16 wild duck species found in Romania as “summer-guests”, “winter-guests” or during the migration, 3 species are most frequent: Mallard (Anas platyrhynchas L.), Teal (Anas crecca) and Garganey (Anas querquedula L.), and relatively frequent: Pochard (Aythya ferina L.), Shoveler (Anas clypeata), Gadwall (Anas strepera L.) Wigeon (Anas penelope L.), Pintail (Anas acuta L.) and the Red-Crested Pochard (Netta rufina L.). Hunt by tracking and beating are the used hunting methods. 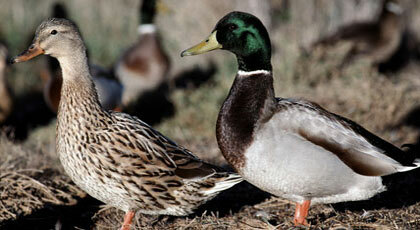 Ducks season occurs from September 1st to February 28th.